The major retrospective exhibition of the work of Gillespie Kidd and Coia currently showing at the Lighthouse in Glasgow features two films on the approach of this distinguished architecture practice. This short video clip made available by bd-online is a mini-lecture on St Paul’s Glenrothes, Fife (1957) by Andy MacMillan. The mini-lecture is notable not just for its clarity and modesty but also for the way in which the proposed building was seen as an important landmark in the new town. The process of arriving and entering the building was thought out with considerable sensitivity and is a perfect transition from external space to sanctuary. 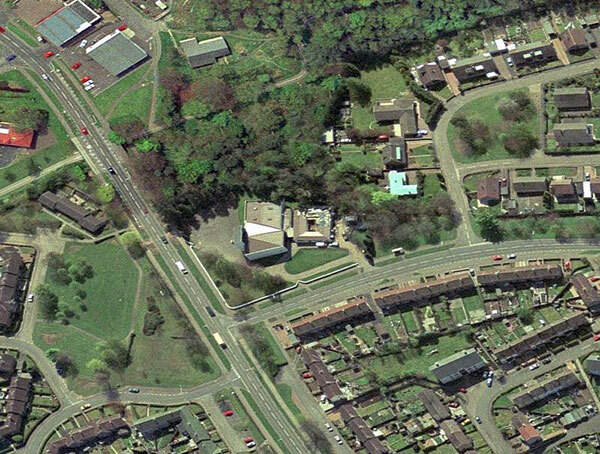 Glenrothes is not a great achievement of 20th century urban development – it is a Mark I New Town with a very suburban and dispersed layout, not unlike many public sector housing estates from the same period. St Paul’s seems to be a very sensible response to issues of identity and orientation in an undistinguished landscape.